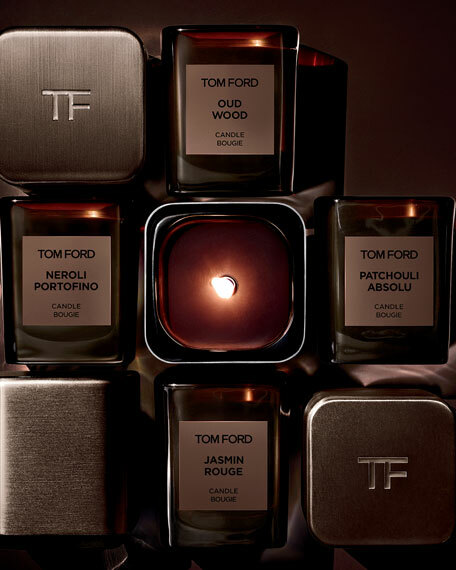 Introducing five scents of artfully crafted private blend candles to immerse you in the world of Tom Ford. Scent and style your home with Mandarino di Amalfi, Patchouli Absolu, Jasmin Rouge and two unforgettable favorites unlocked from the private blend reserve: Amber Absolute and Arabian Wood. Sold separately, the dual-use private blend candle cover is a luxurious accessory to make your candle the ultimate objet d'art. With a careful process that produces a unique surface pattern, each metal candle cover is a one-of-a-kind, custom creation. This elegant musk* fragrance captures the primal essence of supple and sensual leather and suede, giving them beautiful new dimension with a surprising musk medley that is heightened with velvety rose and warm amber. 40 hr. burn time. 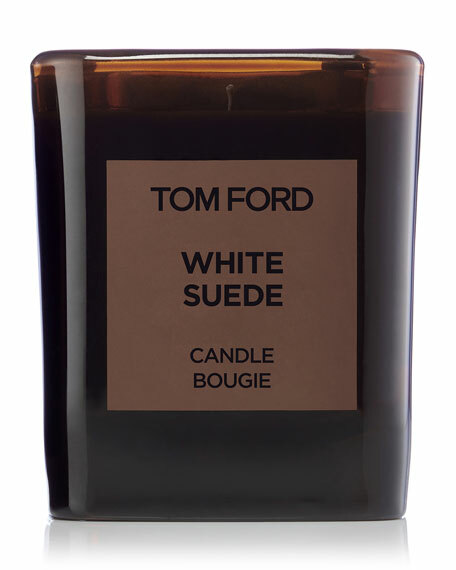 The Tom Ford Private Blend Candle collection features the most celebrated Private Blend scents. Encased in exquisite dark brown glass, each candle is composed of the most luxurious ingredients in the making of scented candles. For in-store inquiries, use sku #2167565.